Whether you have a small pipe leak or a natural disaster and flood, time is of the essence. Mold can grow in as little as 24-48 hours. We need to get the wet items dried, and the structure dried and treated with antimicrobial to prevent mold growth. Our technicians will quickly get the water extracted from your home or office and immediately get air moving. A small leak can quickly turn into a much larger problem if not addressed. 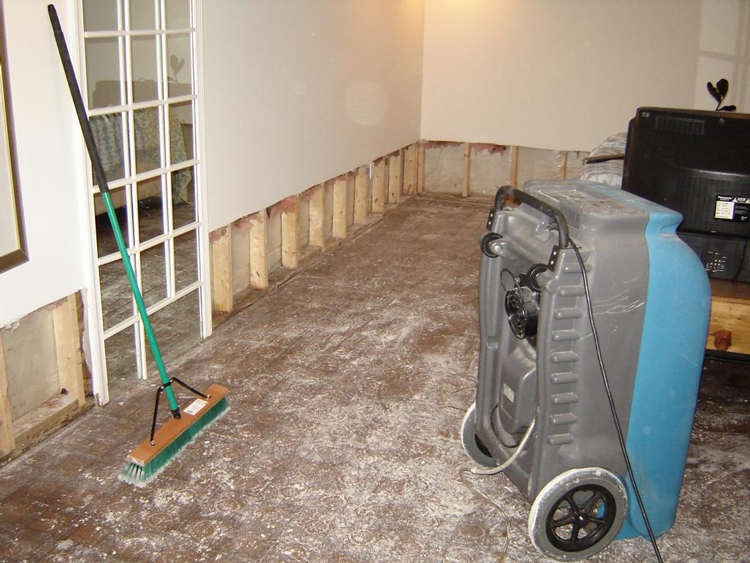 In some cases due to the level of water, removal of wall covering and insulation must occur in order to insure mold growth does not begin. Our team of technicians will do our very best to get your property dried and back to normal as quickly as possible.